A person’s wedding day is often one of the most looked forward to moments in life. After months of organizing to make the big day absolutely perfect, some things don’t always turn out as planned, but they do make for amazing memories! Check out these hilarious wedding photo fails that will be remembered…for better or for worse, you decide. We aren’t quite sure what is going on here, but this couple certainly does look happy. 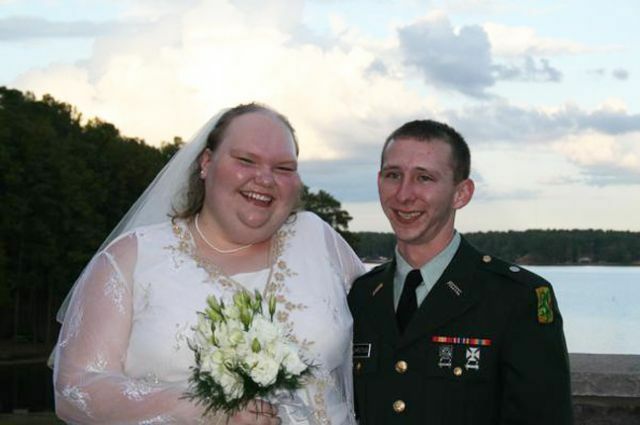 This wedding photo just goes to show that you can’t judge a book by its cover. Although it’s unclear as to what is going on with this bride, we wish this couple all the best and a very ‘happy ever after’.